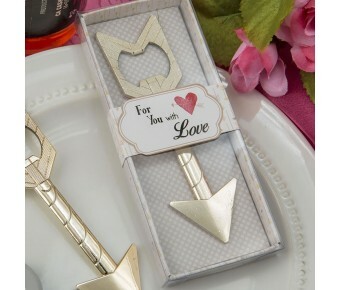 Shoot the golden Cupid's arrow into your guest's hearts and set the scene for a love themed occasion! Ideal for weddings, engagements, anniversaries and Valentine's Day events. 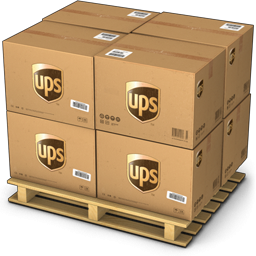 Offer your guests a stunning favor that they can use at home after your special day is over. 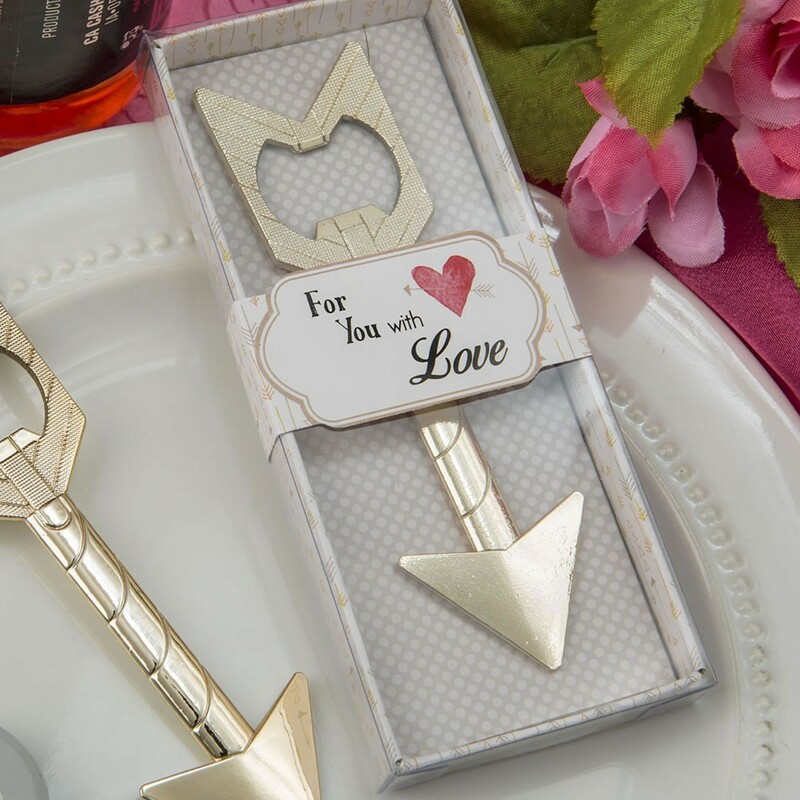 This classy favor has a love theme symbolized by a Cupid's arrow. It is crafted from caste metal and finished in a glorious shiny gold metallic finish. The quill has an opening in the middle that is cleverly designed to be a sturdy bottle cap opener. Size 4 1/4" x 1 1/8"